Hello everyone. I'm back to share a little project using the Wet-Erase Chalkboard Signs that are handy, yet so much fun! 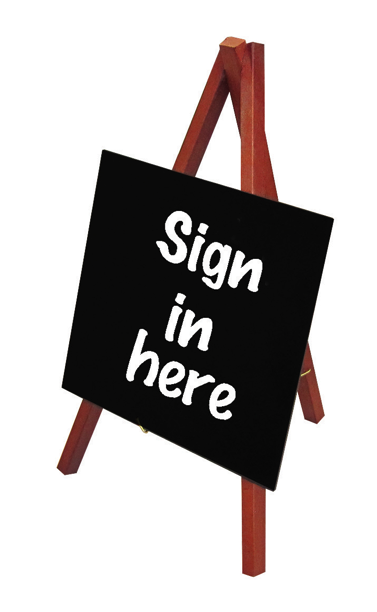 The Deflecto Wet-Erase Sign is perfect for adding a sign in a snap! These cute Black signs mounted to a Mahogany easel come in a three pack measuring 5 7/8" x 9 1/2" x 5 1/4". 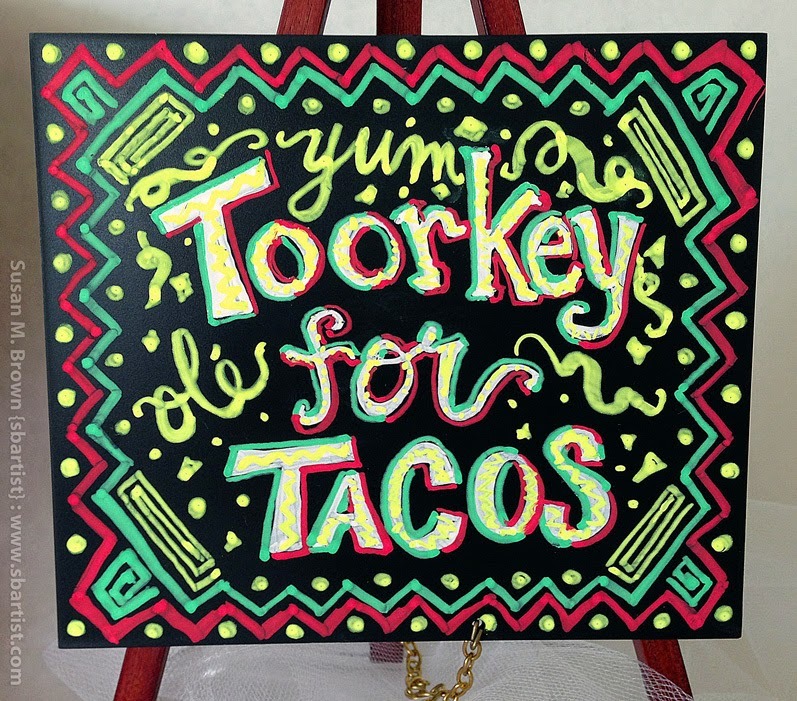 In a previous post I created this fun Mexican themed sign using the assorted color pack of Deflecto Wet-Erase Markers for a fun taco night we had around the Thanksgiving holiday. I had fun decorating this and I love the border I created. I would like to use this on a daily basis as a menu note board for my husband for the meals I prepare and leave for him. I have to cook on a daily basis now for health reasons and he is really reaping the benefits and bragging about his "gourmet cook" at home - LOL! 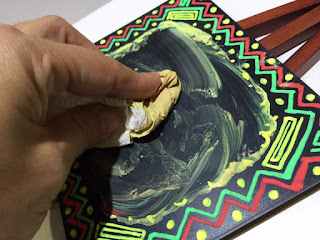 I'm going to keep the border here, so using a small paintbrush and water, I apply water and gently rub to remove the chalk ink in the center of this board. I blot away the excess water and repeat until most ink is cleared. Using a paper towel, I mop up the remaining and gently dry the center, careful to not wipe away my border. This is really pretty simple and didn't take more than a few minutes. The Deflecto Wet-Erase Markers clean up quick and easy with a wet paper towel and water, then followed with a dry cloth - and they leave no ghosting. The ink is opaque and bright and does not require multiple coats - that's a timesaver. **A Little TIP** These markers write on plexi, glass and anything with a durable non-porous surface so you can decorate pretty much anything! I love using these on the Deflecto Craft Plexi frames. The center of my blackboard is clear for re-decorating with my border in tack. There was a little smudge here and there which was easily touched up. All I have to do is create a new message for today! I placed the sign right where with the water and drinks - a place that is sure to be seen. My husband really gets a kick out of my new daily routine of home cooking... and I have a little creative fun, too! How would you decorate with Deflecto Wet-Erase Signs? Thanks for visiting! 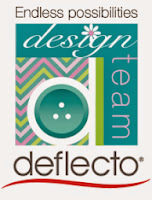 CLICK HERE to jump over to the Deflecto Craft Facebook Page to see more creations using Deflecto Craft products to inspire you.